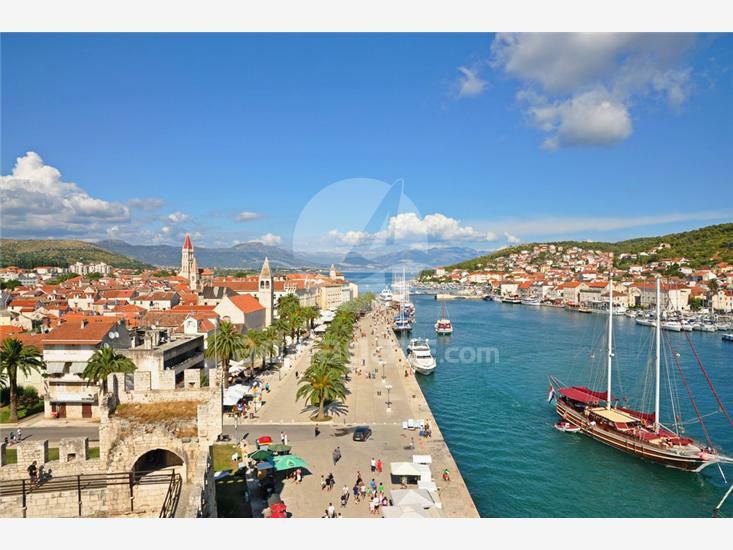 Beautiful UNESCO protected town nucleus, unique accommodation on small island which can be toured in only 750 steps and Dalmatian atmosphere portray an idyllic Trogir. Inside preserved city walls numerous cultural and historical sights are hidden. The town is entered through a Renaissance door. Passing a couple of narrow streets leads to the most impressive cultural monuments - the Cathedral of St. Lawrence, on whose western gate Portal of Master Radovan is located. The cathedral is located on the main town square, just like the town hall. Čipiko palace and Garagnin - Fanfoni, town Museum and St. Nicholas monastery talk about the history of this town and are inevitable cultural attractions. Former Venetian fortress, and today the venue of numerous festivals, fortress Kamerlengo which dominates the panorama of Trogir is approached by light walk on Trogir promenade. Besides historical sites, locals and tourists prefer to shorten hot summer days on beautiful pebble beaches located outside the town. Beach Pantan can be reached via east promenade. It is named after a small river which flows into the sea and therefore this beach feels a little colder. Pebble beach Medena in Seget is ideal for all ages: restaurants, bars, slides, concrete slabs from which you can jump into the sea, golf courses and other attractions are interesting to young and old. A few kilometers from the island of Čiovo, there is an oasis of clean beaches. For those who prefer peace and quiet, we recommend going to the beach Kava, and for those who prefer to sit back at a beach bar and sip cold drinks after swimming are advised to visit the beach in Okrug Gornji. Experience true Mediterranean atmosphere by visiting the most famous of Trogir restaurants where you can treat your palate with top Dalmatian specialties. Pašticada, squids and rafioli are most delicious delicacies of this region. After tasteful dinner, join the residents of this town in numerous musical and folk parties, fishermen night, folklore festivals and other organized events. 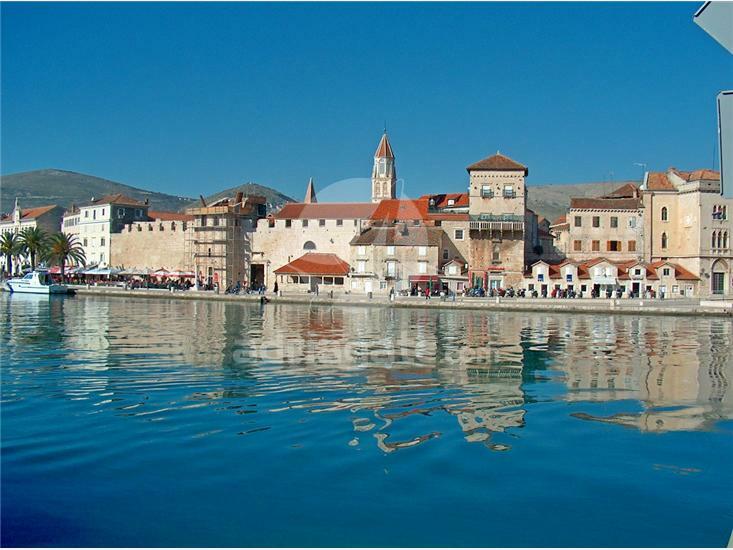 Enrich holidays in Trogir by visiting nearby destinations as well. 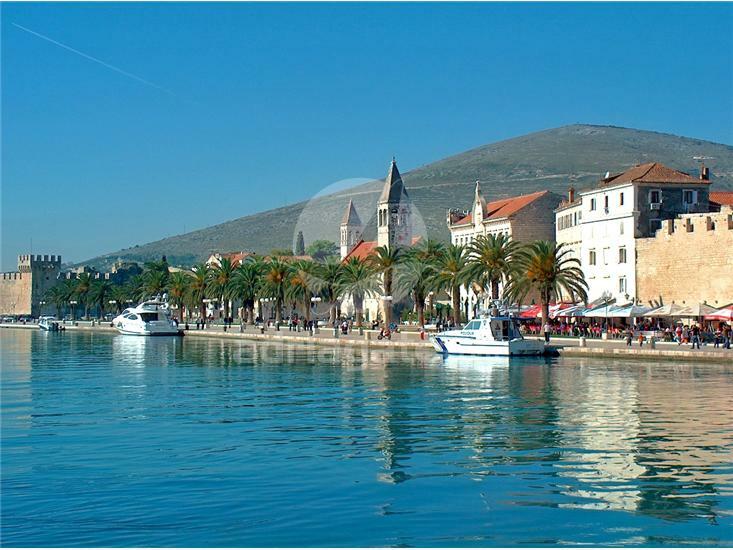 With Trogir, and surrounding cities of Split and Šibenik are on the UNESCO list of world heritage so we advise you to visit them. In small towns Marina and Rogoznica there are beautiful beaches, and those who like active holidays and vacations in nature certainly must discover the magic of the Krka National Park and Kornati. Great location!!! Owner operator was very helpful. Great family owned building with several choices of accommodations. Owner offers to cook dinner. Location is in walking distance of Trogir and local beaches, Loved our stay!!! walking through narrow alley in Old town Trogir is interesting. All towns in Croatia look similar.